Hall & Hunter Realtors is dedicated to giving back to its beloved surrounded communities and the residents who call these neighborhoods home. Since 2005, Hall & Hunter Realtors has successfully collaborated with Changing Places Moving Company to host an annual estate sale to benefit Habitat for Humanity of Oakland County. To date, the event has raised more than $250,000 dollars to help local families achieve their dream of owning their own, affordable home. The annual Hall & Hunter Estate Sale has grown to become a full year’s endeavor. Through a unique partnership with Changing Places Moving Company of Waterford, donated items are collected throughout the year from Hall & Hunter clients, agents and many other community friends. The donations are then stored in the Changing Places warehouse and are delivered to the offices of Hall & Hunter in downtown Birmingham just prior to the sale. For several days prior to the big sale, dozens of Hall & Hunter volunteers roll up their sleeves to help set up and stage the items in our giant white tent. Lori Stefek of Stefek’s Auctioneers & Appraisers generously donates her merchandising expertise to accurately price, stage and prepare for the one-of-a-kind day-long sale. Other major sponsors include Bank of Ann Arbor, Equity Title, and Downtown Publications. Habitat for Humanity is a grass roots organization dedicated to the elimination of poverty and substandard housing. Since 1996 Habitat for Humanity of Oakland County has built and renovated homes for more than 200 families. Interested in donating a gently used antique, collectible or treasure of your own for the 2018 Annual Estate Sale? FREE pick up of large items is available and tax deduction forms provided upon request. Hall & Hunter is the presenting sponsor of the annual Birmingham House Tour, which supports The Community House. The House Tour offers attendees a unique opportunity to view some of the area’s most exceptional homes. This year’s tour will feature homes in a wide array of architectural and interior design styles. There will truly be something for everyone. The House Tour is a signature fundraiser of The Community House Foundation, a 501(c)(3) non profit organization that is home to those seeking continuity between personal, professional, philanthropic and recreational pursuits. In addition, we are proud to support 14 additional non-profits and groups that call The Community House “home” and use our resources to continue their work in our shared community. Tickets are $40 in advance and can be purchased HERE or by phone at 248-644-5832. Day of tickets will also be available for $45. 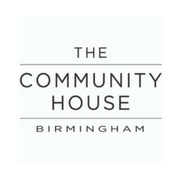 The Community House is located at 380 South Bates Street in Birmingham.